If you have been considering buying an electric piano, you may have wondered about the quality of your choice. The difference between an acoustic piano and an electric piano is probably far easier to identify than the nuances that distinguish the several types of non-acoustic pianos. This article will take a look at the history of the electric piano in hopes of providing you with a better appreciation of the influence this instrument has had on piano technology and popular music. 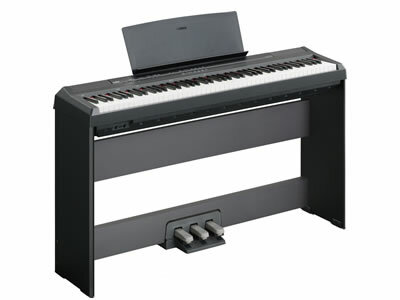 The term electric piano applies to an instrument that works mechanically like an acoustic piano. You hit a key and moving mechanical parts inside the body of the piano respond. The primary difference between the electric piano and the acoustic piano is the sound on an electric piano is converted to electrical signals, whereas the sound on the acoustic piano rings. Beginning in the early part of the 20th century, electric pianos went into widespread production. Still, it took several decades for the instrument to catch on. By 1955, the electric piano had found its way into popular music of the time, showing up on the Indiaalbum by Duke Ellington and Sun Ra. By the end of the decade, the instrument was edging toward the height of its popularity. It wasn't until the 1970s that the draw of the electric piano began to wane as the popularity of the electronic piano (also called a synthesizer) grew. Contrary to popular belief, the electric piano and the synthesizer are not interchangeable. A synthesizer is an electronic instrument, whereas the electric piano is an electro-mechanical instrument. There are no mechanical parts to the synthesizer. It works by emitting voices, meaning there are no moving mechanical parts to strike strings. Just an electronic response triggered by the depression of keys and buttons. You have to take note of the features of electric piano. It is hard to make a decision on what you want when you are not quite sure what you are getting. Since going into widespread production nearly 100 years ago, the electric piano has carved out for itself and nice little corner in popular music history. At least now, if you are in the market for an electric piano, you will have a better idea of the contributions this instrument has made.